Mo became nationally known when he was chosen for the U14 National Team. Shortly after Mo moved to the United States he attended High School in Maryland, where he eventually came under the tutelage of Bob Surrette and began an impressive array of awards: Best Offensive Player of the Year, All Tournament Player. Exposed to and trained in all positions of competitive play, Mo Keita currently specializes in forward and midfield responsibilities, and is skilled with both right and left feet, with great speed on and off the ball. Mo is one of the most esteemed trainers in New England. He has worked for a number of years with Ben Brewster and Bob Surrette, most notably with NH Wildcat Soccer School. 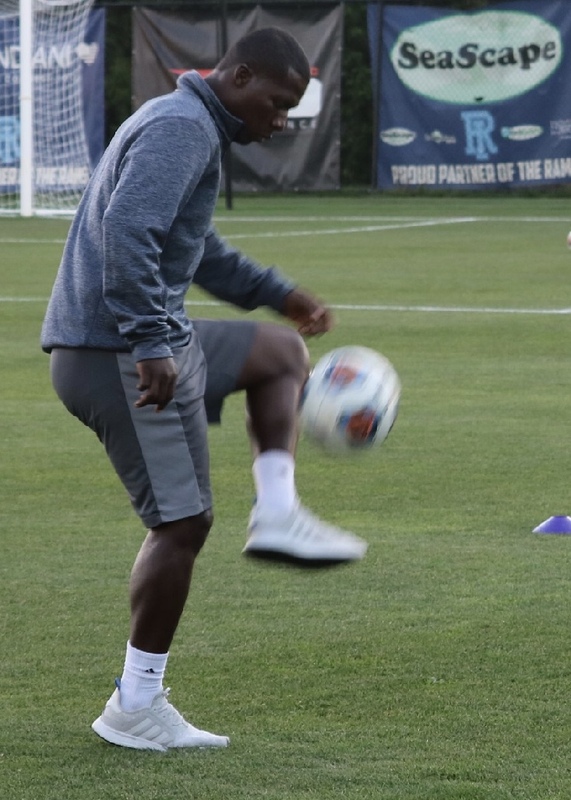 He has previously served as Head Coach to Elite Clubs National League teams and as Youth Soccer Club Director. Mo currently is Technical Director at Aztec Soccer Club. "I have successfully transferred my passion of playing into teaching and ahve been fortunate to train many talented athletes across New England, including Morgan Andrews, Gaby Carreiro, and Maddy Vergura." Mustapha has been a professional soccer player with over a decade of uninterrupted professional 1st Team matches.